It’s the best thing if every seed grows in an individual container. Thereby you won’t hurt your seedlings by intermediate transplantations. It’s particularly important for cucumbers, zucchini and eggplants, which have especially fragile roots. The best idea is to initially plant two seeds per pot. As soon as a couple of true leaves are formed, snip the weaker plant and let the other one grow. For your information: true leaves are foliage leaves of a plant, as opposed to seed leaves, or cotyledons. 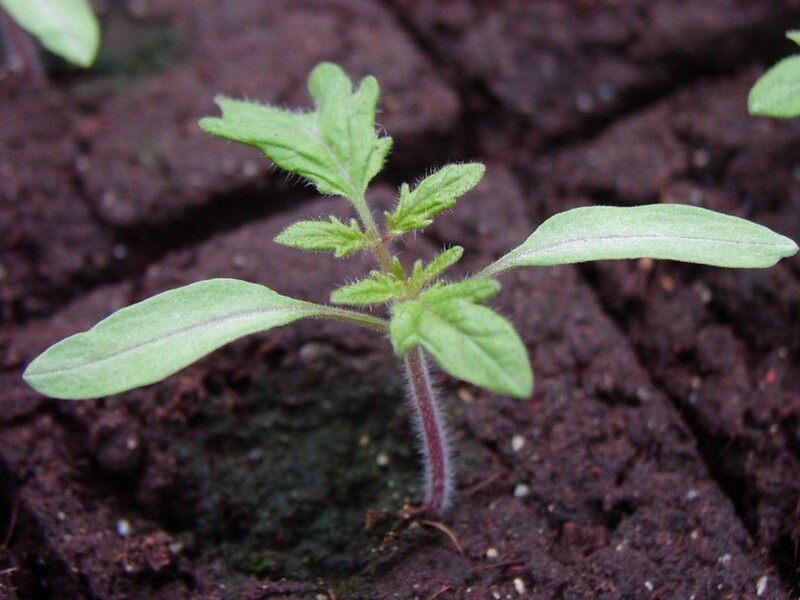 When a seed first emerges from the soil, it has two leaves. These are seed leaves. They are an integral part of the seed and do not conduct photosynthesis. In a while the seedling get stronger and starts forming leaves called true. They look very different from seed leaves and resemble a mature plant’s leaves style. Once the true leaves are present, the plant begins to photosynthesize. 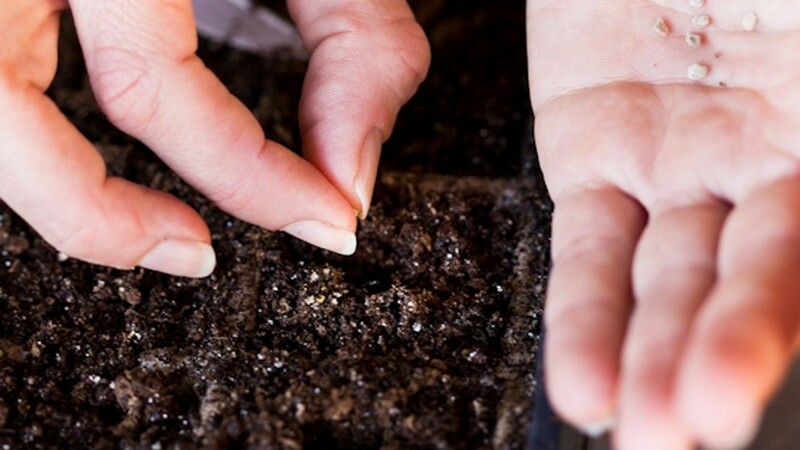 Almost any container is good for starting seeds as long as it has a drainage hole and is deep enough for the roots of the plant to develop: special pots, trays, and yogurt or paper cups. But the most convenient containers are peat and pressed rice flour pots. They are very handy, since they can go right into the soil and decompose easily, giving a plant additional organic fertilization. Just remember to tear off the top edge before planting, so that the entire pot was in soil. This will prevent it from drying out. Also it’s possible to sow en masse. 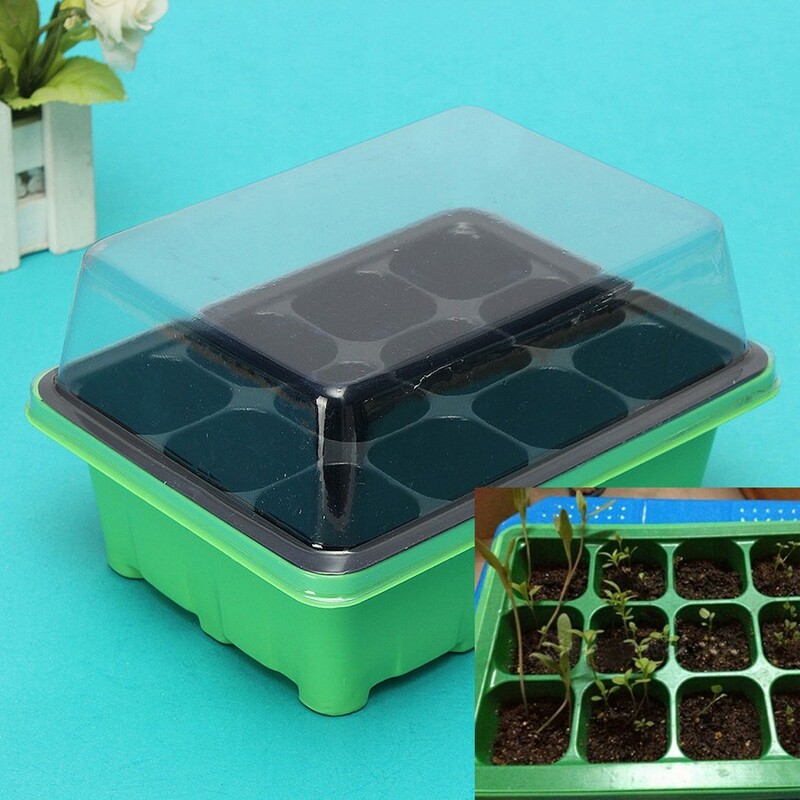 In this case the best choice is a plant and seed propagator – a special box with slight electric heating and a transparent lid. In them seeds germinate especially fast. Truth is as soon as true leaves emerge, you will have to resettle the company to different pots anyway. This process is called pricking out. 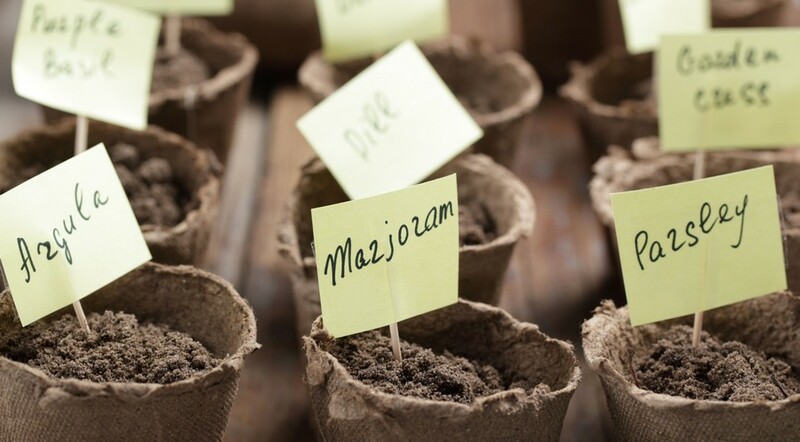 If you don’t feel like fiddling, you can combine both approaches: plant seeds in cups and put them into a propagator. 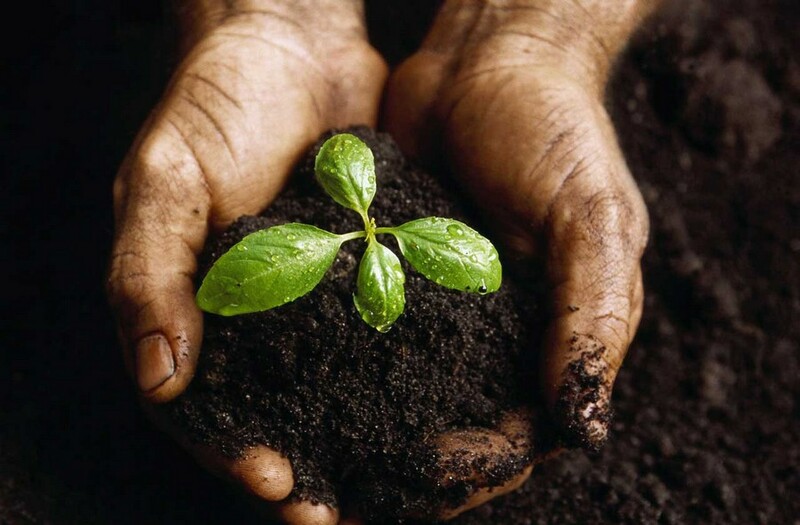 When it comes to growing seedlings, carefully selected and prepared soil is a key to success. Substrate must contain the bare minimum of nutrients. Too many nutrients can make the plant grow too actively and within limited light they will get long and spindly. It’s not a good idea to re-use soil from your garden or indoor plants – we did our best to disinfect the seeds at the beginning and planting them into non-sterile soil almost nullifies all the efforts. 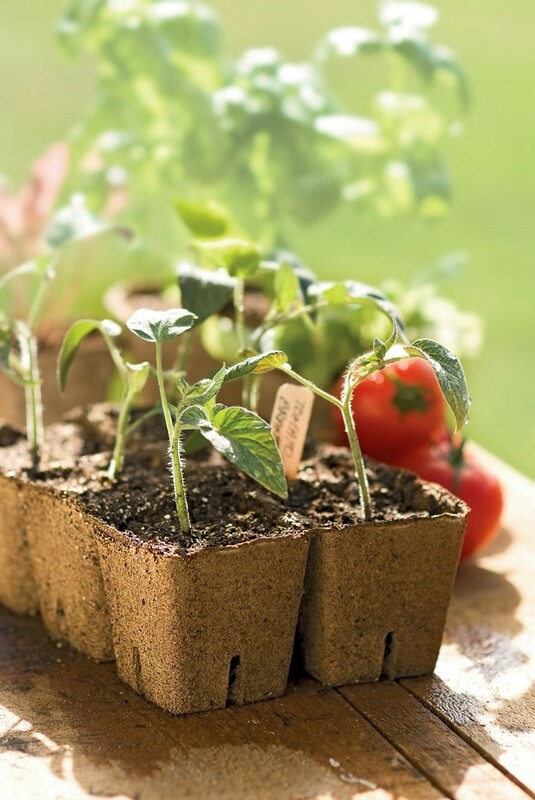 The best thing is using ready-made substrates for growing seedlings. Fill the containers with soil leaving about 1 cm on top for convenient watering in the future and pack it firmly. Most of the seeds don’t have to be buried deep to ensure their germination. As a rule this information is stated on the packet. Some seeds have to be sprinkled right onto the soil surface. For example, strawberries need sunlight to germinate.